Want to give your family the gift of a new Brock Built home for the holidays but still need to sell your existing house first? This holiday season, buying your new home just became so much easier. Our Knock partnership takes away the burden of selling your existing home before purchasing your new one. How? Knock does all the work for you. 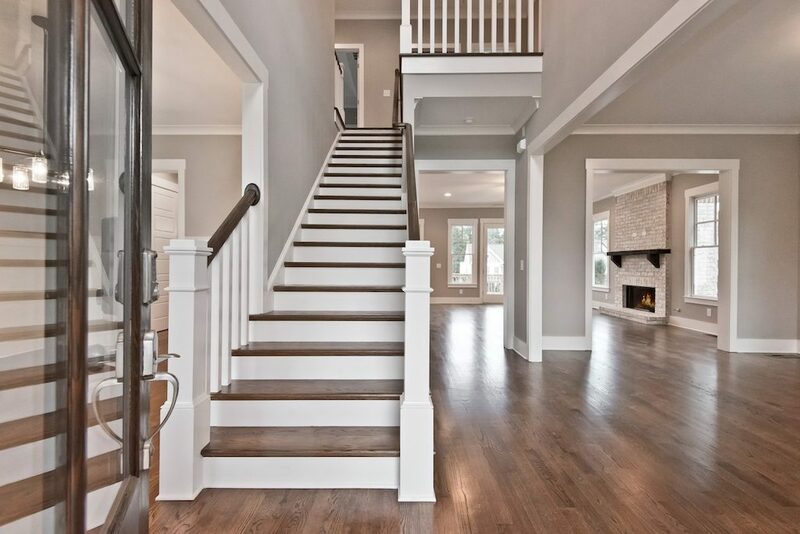 What’s even better is you don’t have to wait for your old house to sell before moving into your new Brock Built home. Here’s everything you need to know about our Knock partnership and how it will help you buy your new Brock Built home. Knock is the first online home trade-in platform to provide homeowners with a new way to buy and sell their home. Their mission is to improve the way people buy homes by removing the pain points and stress associated with buying and selling. What’s their solution? In short, Knock purchases the new home on the homebuyer’s behalf, allowing them to move in immediately. They then prepare the homebuyer’s old home for market, list it, and mark it sold! After the sell, the homebuyer’s equity is unlocked. They are then able to buy their new home back from Knock. 1. Find your new Brock Built home in one of our 9 Atlanta area neighborhoods. 2. Knock buys your new Brock Built home with cash and no contingencies. 3. You move into your new home. 4. Knock preps, lists, and sells your old home. 5. You buy your new Brock Built home back from Knock. Get Started with Your Knock Trade-In Today! With our Gift of Home promotion, now is the perfect time to take advantage of the Knock partnership and unwrap savings on your new home. Start by getting your custom trade-in price on your current home. Then take a look at our available intown and metro Atlanta homes to find the perfect townhome or single family home that fits your family’s life and style. To learn more about the Knock program, contact us today.